Image: Roy Rochlin, amovitania/Getty Images. Design: Ashley Britton/SheKnows. The Good Place star and scene-stealer Jameela Jamil is rapidly becoming one of our favorite people. Not only does she make us laugh our faces off and tell wildly hilarious stories, the self-proclaimed “feminist-in-progress” isn’t afraid to unapologetically speak her mind and weigh in on issues facing women today. Speaking of weighing in, Jamil is the founder of the inspiring I Weigh movement, which focuses on self-worth and body positivity beyond the scale. She was also one of the inspired voices who joined us at 2019’s #BlogHer Health in Los Angeles from Jan. 24 to 25. And while we couldn’t wait to hang on every one of Jamil’s (sure to be impactful) words, she’s already said so much. 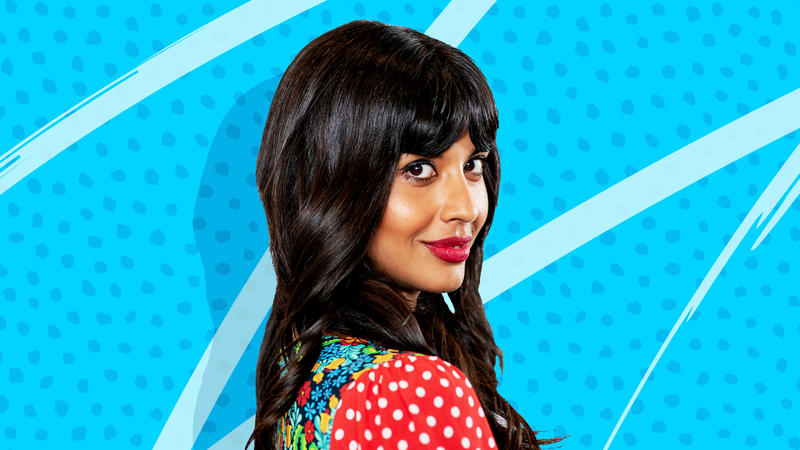 Here are a handful of times Jameela Jamil said it just the way we all needed to hear it, because it would be nearly impossible to list all of the moments she imparted profound and often provocative words of wisdom. Jamil had pretty much no acting experience at all when she moved to America to pursue the craft. She credits a lump in her breast as the “kick up the bum” she needed to follow her passions. “And when I got that ‘all clear,’ I booked a one-way ticket to America. I left my job. I ended my lovely relationship, said goodbye to all my friends and just moved!” she explained on Today. In a December BBC News article, Jamil expressed her thoughts on why she thinks airbrushing should be banned. “We have a lot of work to undo… Mothers, sisters and aunties, I implore you to take this little sponge, and render him sodden with humanity and an understanding of women. It will send him into this delusional world with an armour of empathy and self assurance, that a strong woman is something to be celebrated and not feared/crushed/undermined/spoken,” Jamil penned in a December blog post. Jameela has continued to speak out about celebrities and companies who promote weight loss teas. Jamil took to the stage at #BlogHer Health 2019 in Los Angeles and didn’t hold back when it came to calling out how women are consistently bombarded with images, media and advertising that are designed to make them feel bad about themselves. Not to mention, the double standards that come along with that. “It’s so aggressive how pervasive it is, how it’s everywhere, it’s all around us. We’re constantly being shamed. It takes someone and something aggressive to tear that down and all I’m really doing is calling it out and showing it to everyone, because once you see it you can’t unsee it and that’s been the most amazing thing of the last couple of years of realizing that, ‘No, not shame on me. Shame on you for making me feel so bad about something men are rarely made to feel bad about,'” Jamil declared of her mission.